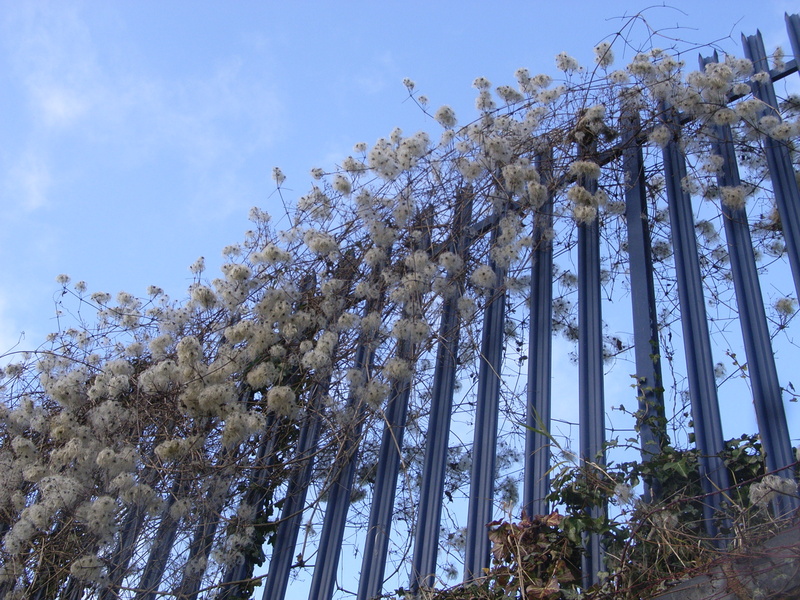 Yes, I know I have written about Clematis relatively recently, but seeing it adorn the fences of the nearby railway the other weekend, it made me think about New Year’s resolutions and how some of them often remain as pipe-dreams only. So Clematis is making its second appearance in my blog!! The airy-fairy dreaminess of Clematis becomes all too apparent in the winter months, when it blankets the otherwise bare and quite dull hedgerows!! With its grey wispy appearance it looks rather ghost-like, reminding us that those in a negative Clematis state are hardly present. They maybe physically present, standing there before us, but their thoughts are usually far away, dreaming of the future, of a better life. As we approach the end of 2012 and the beginning of a new year ahead, it is common to make resolutions. We may dream of being a gorgeous, slimmer version of ourselves, or of making a great success of our new business venture but these will remain as pipe dreams if all we do is take a Clematis approach to the future. Dreams ARE important. Visualising ourselves as our future selves can motivate us towards achieving our goals, but we need also to ground ourselves and actually DO something. We need to live in the now, and put in some effort, whilst at the same time holding that dream. If we wish to lose unwanted pounds we need to get off our bottoms and exercise, as well as taking a good hard look at what we eat and making changes. If we dream of a successful business, we may need to put in hours of training, networking and advertising. The bottom line is that we cannot hope to write a masterpiece if we do not put pen to paper!! The Bach Flower Essence of Clematis helps to root us in reality and gives us a firm foundation on which to grow our dreams into a reality. * Vervain – where we are enthusiastically trying to produce the perfect Christmas and finding ourselves unable to relax. This essence helps us to do just that – relax and enjoy, without doing things to death and striving for perfection! 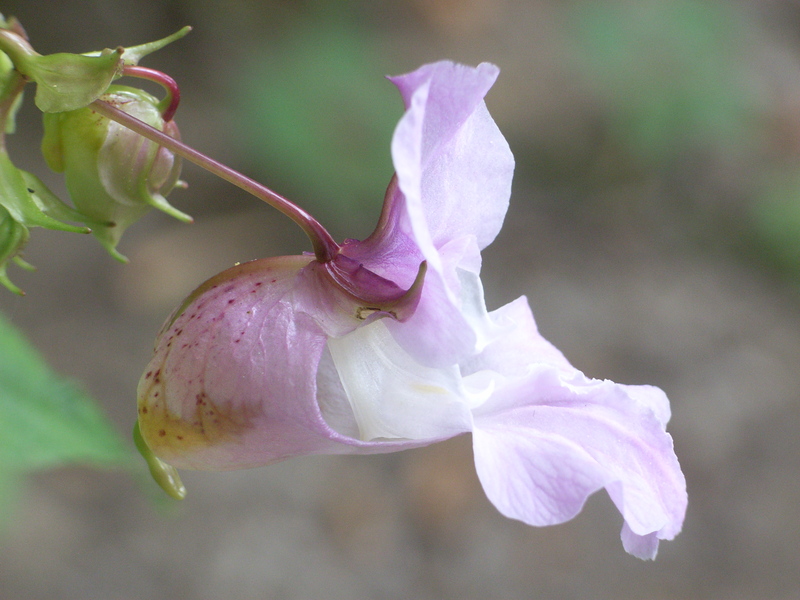 * Impatiens – when we feel tense, irritable and impatient, perhaps because the children are playing up or others aren’t doing things as quickly as we’d like. We find it hard to cope with the frustrating Christmas queues and delays!! This essence helps to bring patience and the realisation that everything happens in its own time. * Elm – where you have so much on your plate (and I’m not talking too much turkey here), and you feel overwhelmed by it all. This essence helps to put our “list” into perspective and renews our confidence in being able to do what needs to be done. * Olive for when you are simply exhausted mentally and physically from over doing things in the run up before the big day. This essence brings us a sense of peace and renewed strength but also gives us insight into how we overdid things to begin with to get so exhausted. Do any of these speak to you? These are just 4 of my “friends”. There are many more to choose from. For a more general helping hand – there is always * Rescue Remedy which can be used for major and minor traumas – anxiety before an event, the after effects of an argument or perhaps an accident in the home. 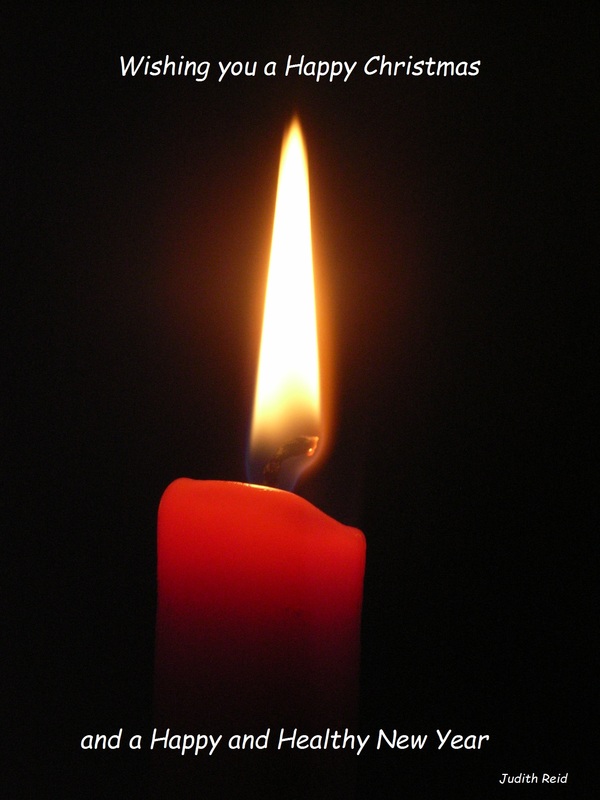 It helps to restore calm, diffuse shock and trigger the body’s self-healing into action. NOTE: if you experience a medical emergency, this can be used whilst waiting for (but not instead of) medical help – a few drops on the tongue or pulse points.